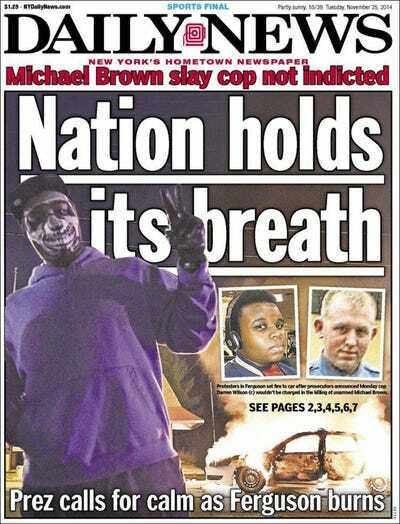 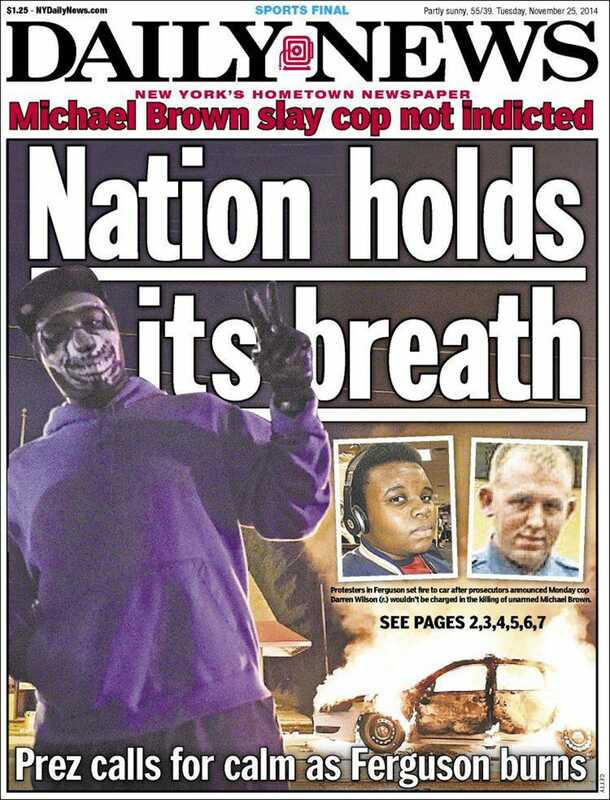 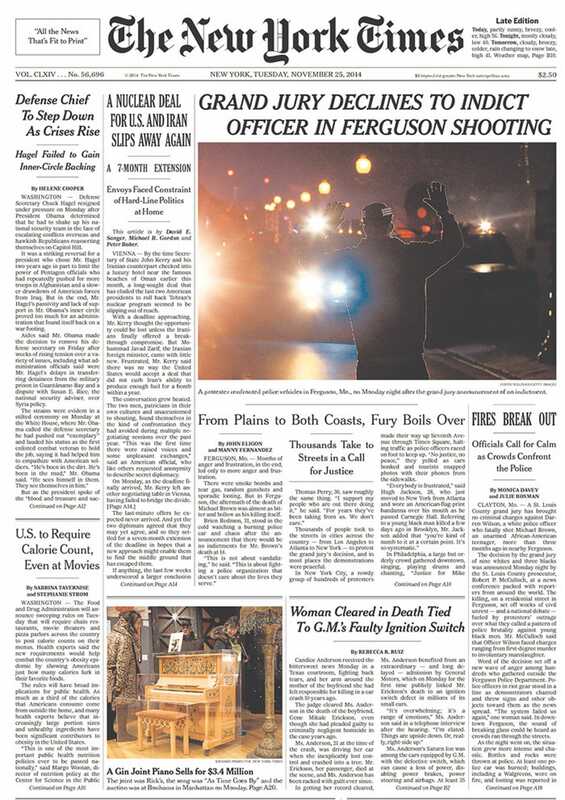 The US is teetering on the edge after a grand jury chose not to indict Ferguson, Missouri police officer Darren Wilson over the shooting of 18-year-old Michael Brown. 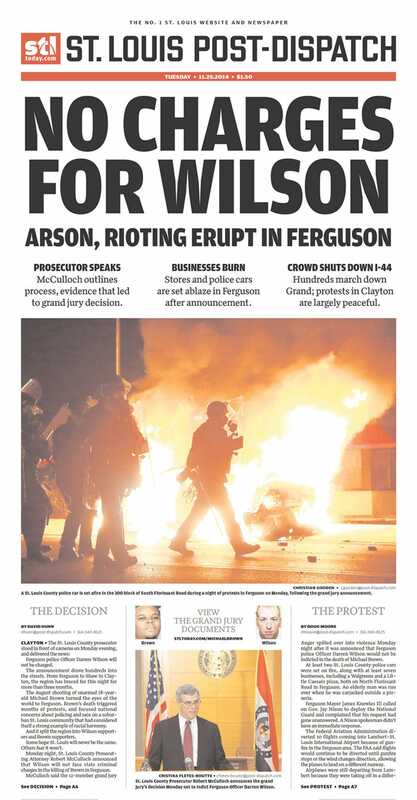 In Ferguson, the protests have been especially bad, where at least 12 buildings have been set on fire and at least 29 people have been arrested. 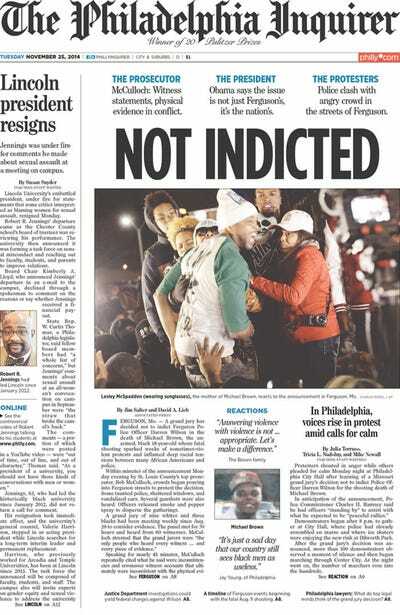 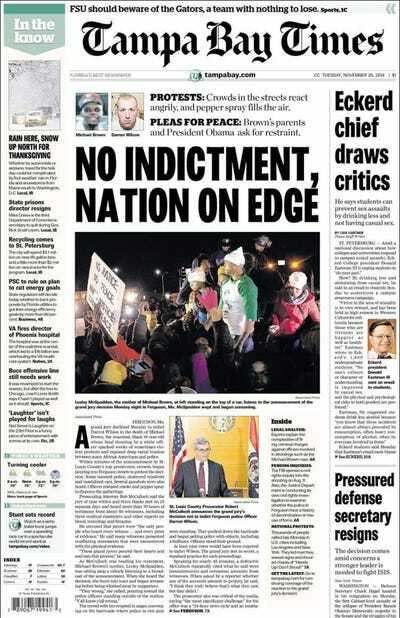 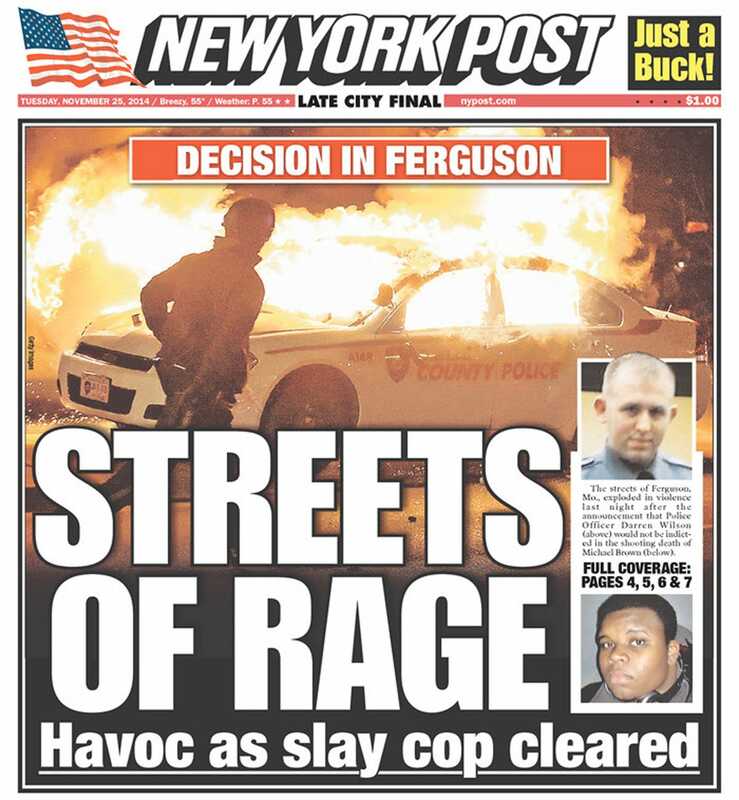 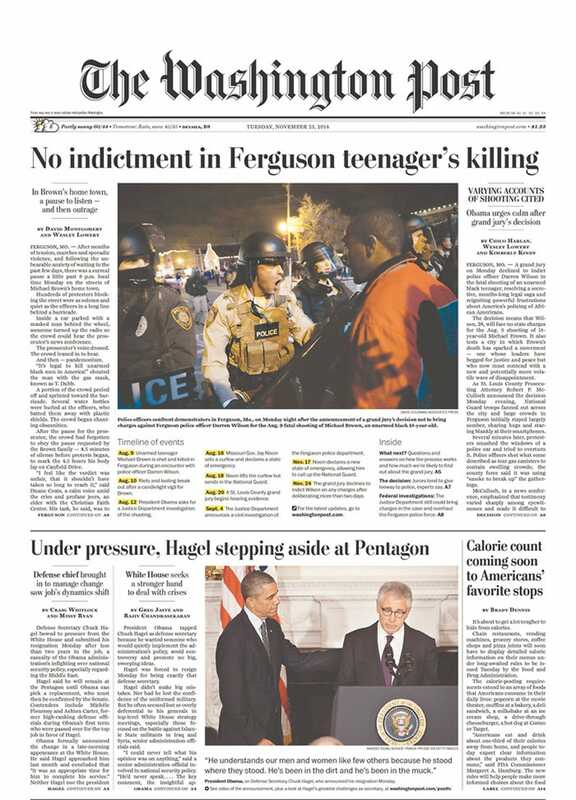 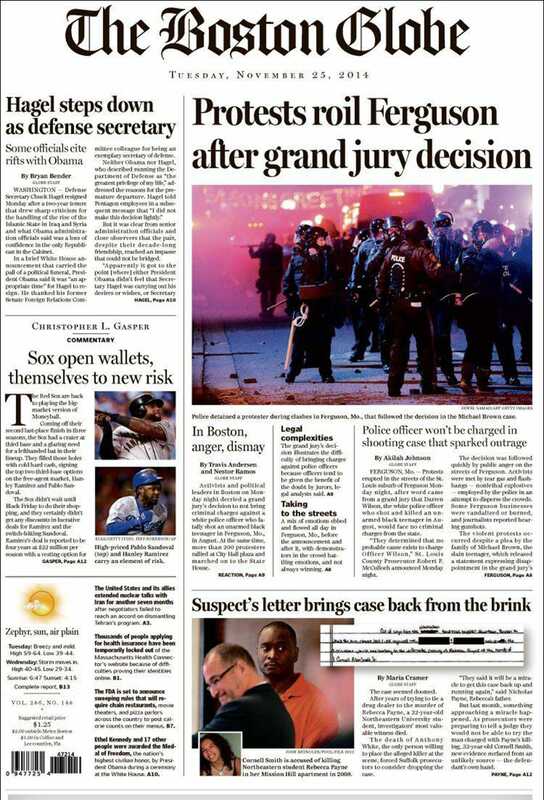 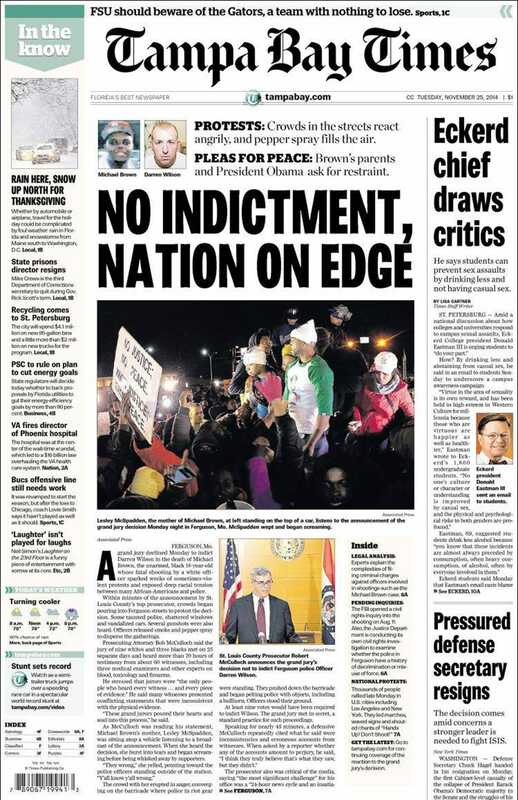 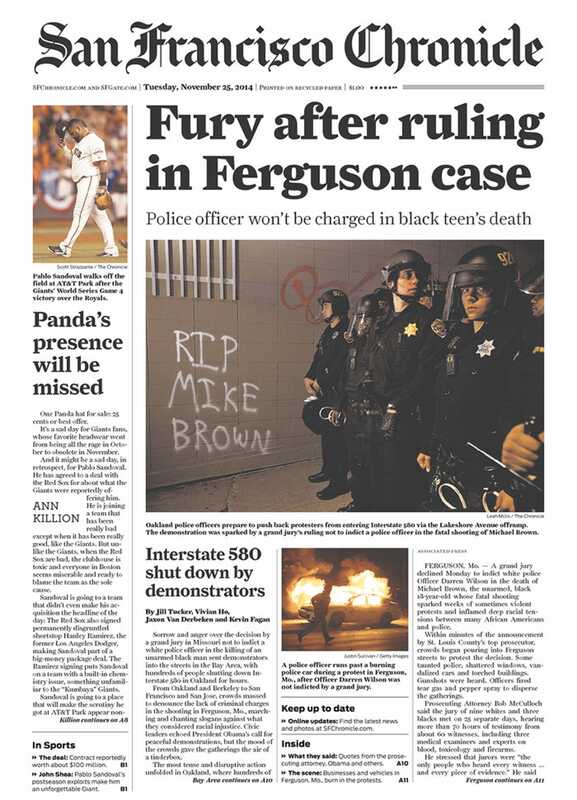 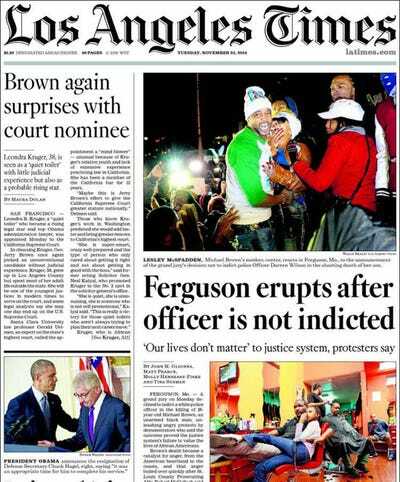 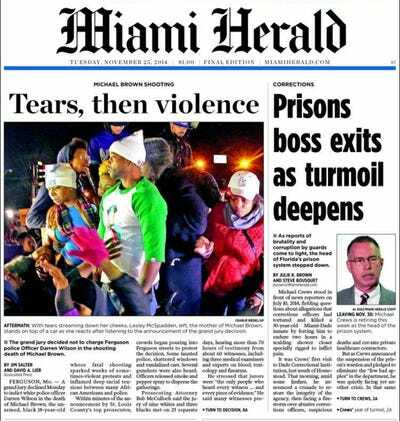 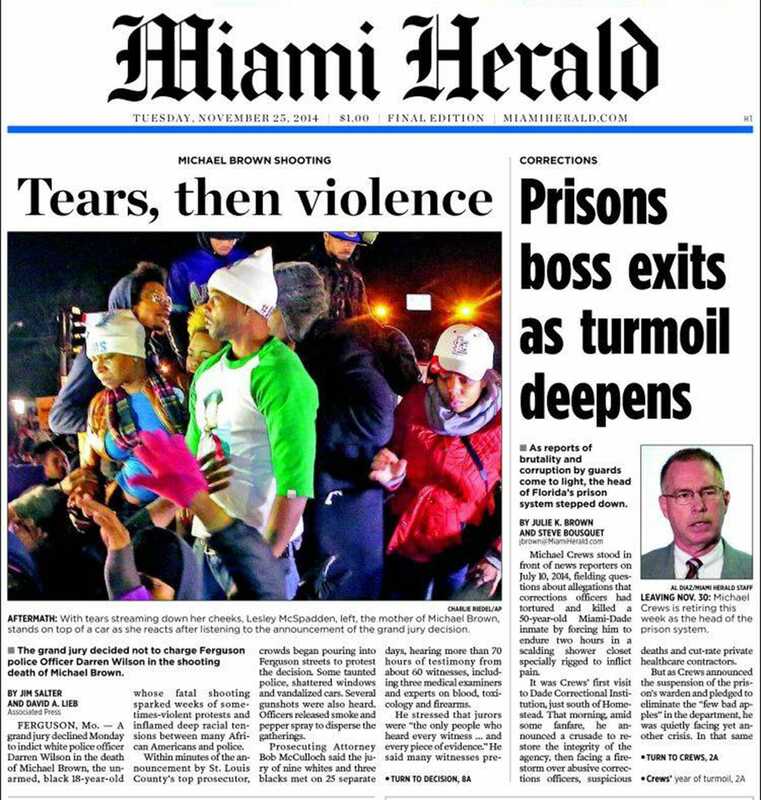 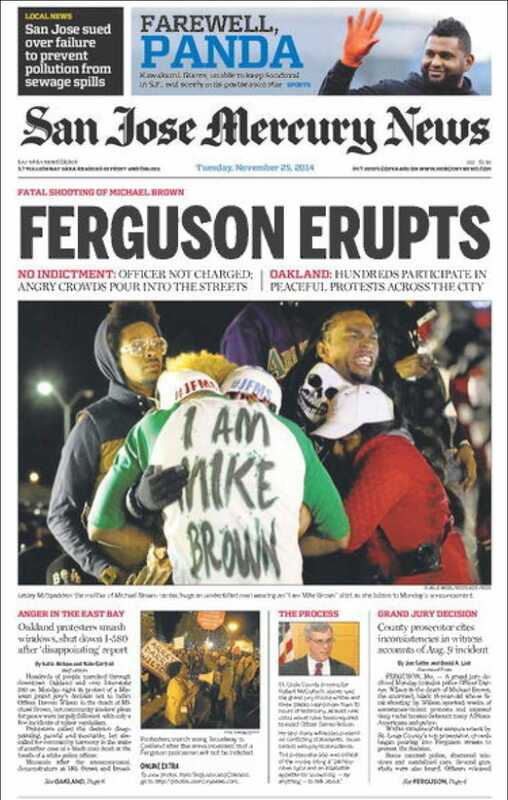 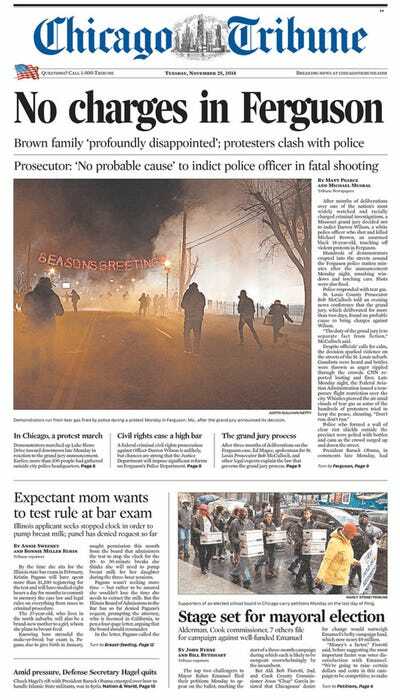 This morning the story of the grand jury decision and the protests have plastered the front page of nearly every major newspaper in the US.